The Toronto Stock Exchange outperformed Wall Street Wednesday as the market reacted to the Bank of Canada’s decision to cut interest rates to 0.5 per cent. New York closed lower ahead of the Greek parliament’s vote on the bailout-for-reform deal. Violence has erupted on the streets of Athens as MPs debate the deal which has been recommended by the Greek prime minister despite him not agreeing with it personally. European markets have closed broadly higher. Asian markets ended the day mixed as Chinese GDP exceeded expectations of analysts but still disappointed. The Bank of Canada reduced its overnight interest rate to 0.50 per cent, down 25 basis points. The cut was made due to economic challenges with inflation of 1 per cent and growth projections cut to just above 1 per cent for 2015 and 2.5 per cent for 2016 and 2017. The bank said that the economy failed to return to the growth it had hoped for in the second quarter following contraction in the first. Technically the 0.6 per cent decline in Q1 followed by 0.5 per cent decline in Q2 means a recession. Meanwhile the Fed chair Janet Yellen spoke Wednesday and noted that the US economy is on target for an interest rate rise. TD Bank was the first to announce a rate cut for its customers but will pass on just 10 basis points (0.10 per cent) rather than match the BoC cut. Shred-It International is to launch what will become the largest IPO is Canada this year. 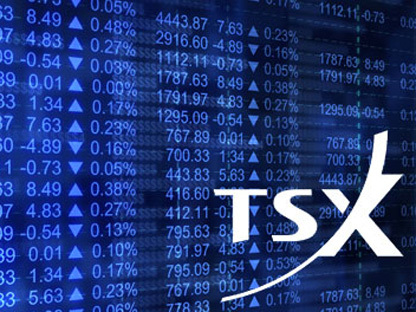 The Ontario-based firm hopes to raise around $600 million with shares of $20 to $23 each. Bloomberg reports that the information-destruction service has 400,000 customers.